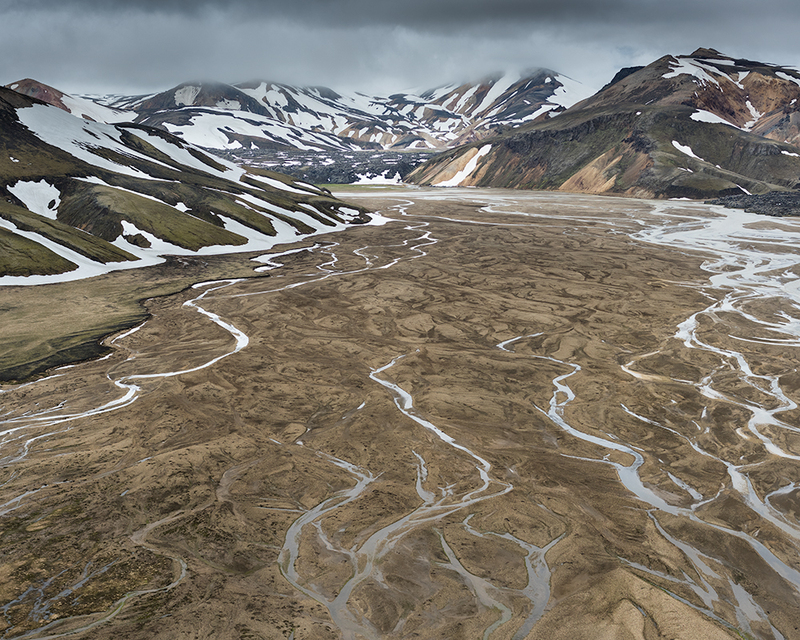 The Landmannalaugar region, in the Central Highlands of Iceland, is characterised by low mountains and meandering rivers in U shaped valleys. The area is relatively young from a geological point of view and typifies the volcanic nature of Iceland. The mountains are predominately made of Rhyolite, a type of igneous rock with a wide ranging colour palate of red, brown and orange. In winter much of the area is inaccessible and covered by snow and ice. As this starts to melt in late spring, the colours of the mountains are gradually revealed, interspersed by patches of white. 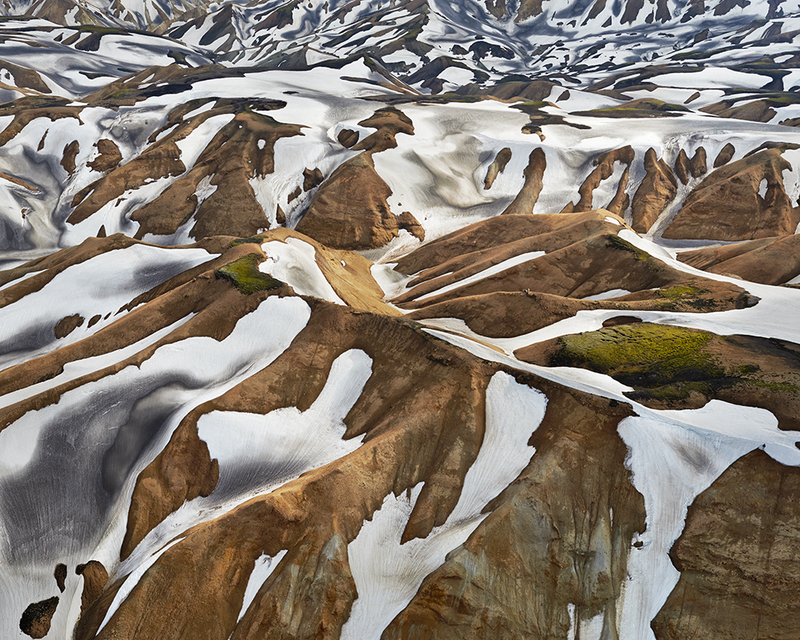 Viewed from above, abstract patterns are unveiled particularly where swathes of snow are coloured by ash. 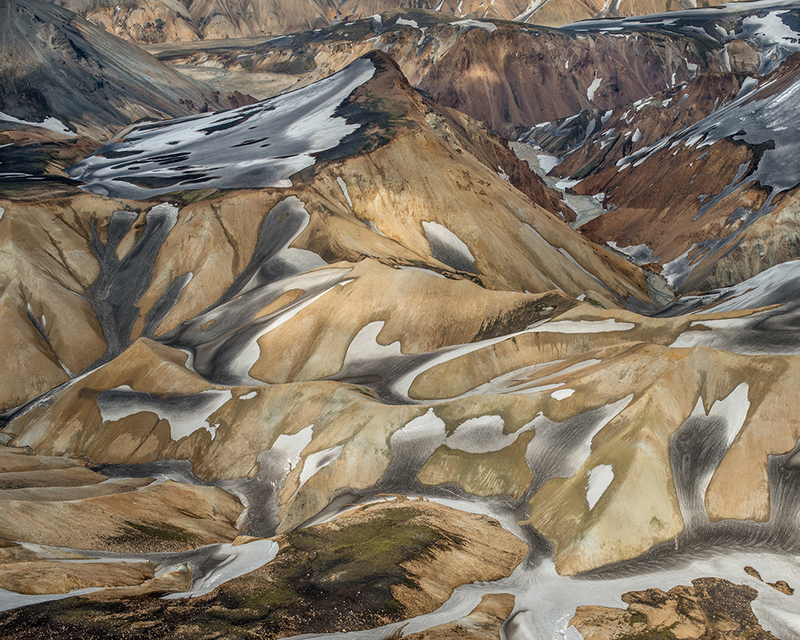 This portfolio was photographed from a helicopter during 2 trips in different years in late June. During the first trip, dappled light brought out the wonderful tones of rhyolite. The snow was predominantly on higher slopes and reflected light created a contrast of blue on the valley floor. During the second trip, after a harsher winter, the landscape had a more minimalist feel with moody light and softer tones.